document as they design their booth displays and set them up for the Show. • These guidelines help our events to have a more professional look and feel and we all benefit from that. • In the event of any dispute regarding how a particular Exhibitor’s booth should be arranged, these guidelines will be used to settle the dispute. 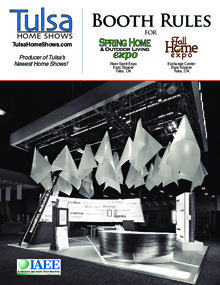 Download "Tulsa Home Shows Booth Rules.pdf"